How to distinguish fake and real Hamon? Dao (刀) are single-edged Chinese swords, primarily used for slashing and chopping. Single-edged blades had been used in China as early as the Shang Dynasty and the dao has taken several variations throughout the different dynasties. 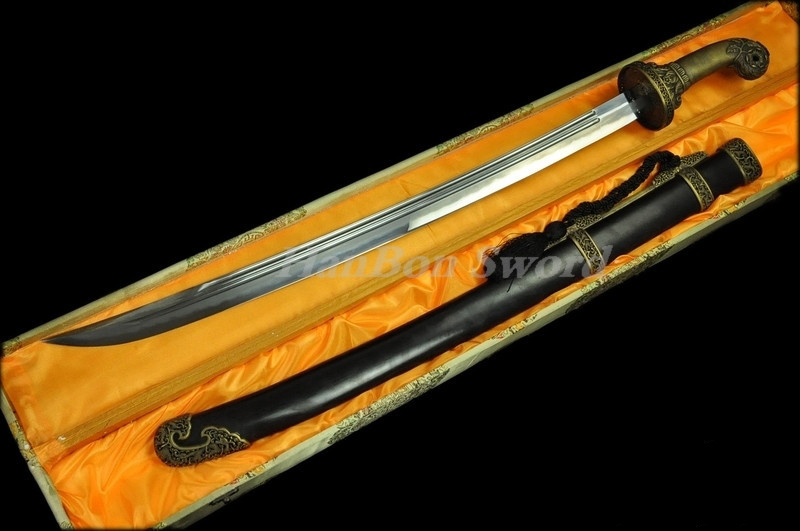 Chinese broadsword is single-edged Chinese sword Dao with wider blade. In kungfu, it usually is an abbreviation of dan dao (single sword) commonly translated as "broadsword." Generally, it has a single-edged curved blade. Broadswords come in varying lengths, but generally they should reach the user's eyebrow when held upright along the arm. 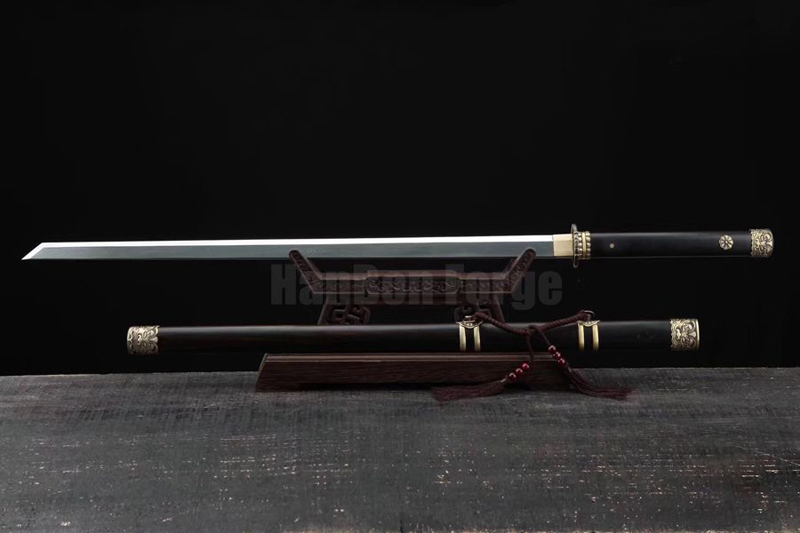 Guan Dao \ Kwan Dao (Chinese: 青龍偃月刀 yanyuedao) is one of the most representative Chinese Dao (Pole Arm Weapons), it was named after the famous general Guan Yu, an actual historical figure that was deified as early as the Sui dynasty as a symbol of loyalty and righteousness. 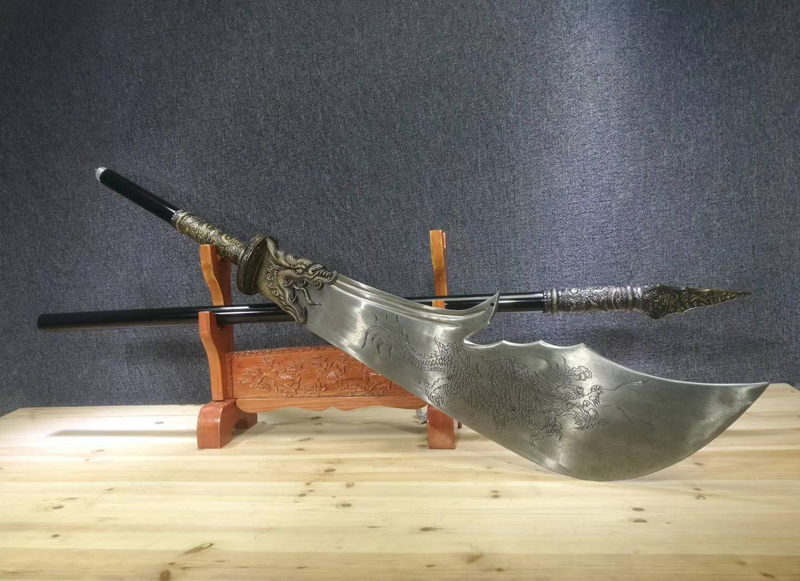 Guan Dao have a large blade on one end, made from flexible carbon steel, capable of both thrusting and cutting. It combines many of the advantages of a sword and a spear. With this weapon, one can attack the enemy with a strong attack which fully utilizes the reach of its long blade. The weapon's shaft features a Green Dragon biting the blade with a dragon pattern carved into the blade. The "Tang Dao" is the general term for the four types of military sword systems in the Tang Dynasty. It features narrow blade, small tsuba, long handle (can be held by both hands). The shape of Tang Dao originated from the Ring swords of the Han Dynasty. Most of the military Tang Dao in the early stage kept the ring head and a straight blade. Tang Dao is the army sword, the biggest role is to fight. The production process is strict, and it also takes into account another application in combat - sunder armor and durability. Sunder Armor requires hardness, the cutting edge is narrow, and durability requires toughness, so Tang Dao uses the most advanced cladding technology. The wrought iron is used as the outer skin, and the middle is made of multiple-refined steel. The partial cutting edge adopts the partial quenching technology(clay tempered). The hard edge can cut the armor, and the toughness of the blade is not deformed but durable. This is also the biggest difference with the Japanese swords. 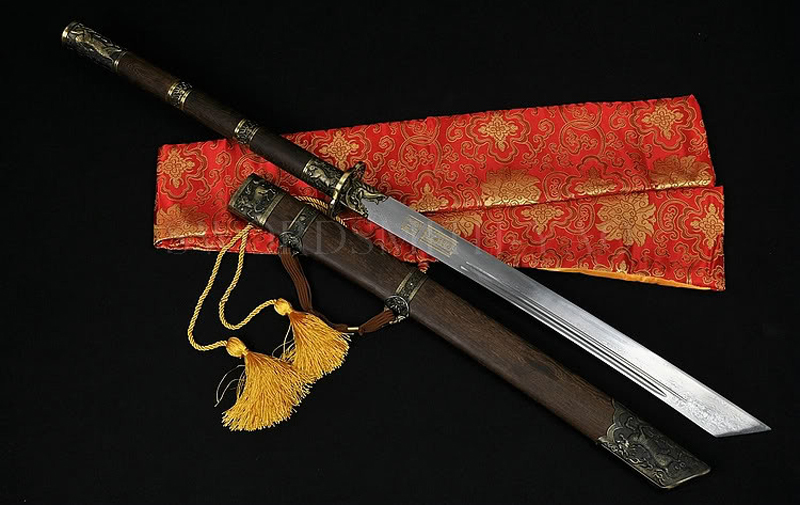 China’s Qingdao is popular in the Qing Dynasty (1644-1912), which is an official sword. Its shape may be influenced by the cultural exchanges of many countries in the past. It was a common cavalry and infantry weapon characterized by a single-edge, slightly-curved and single-handed blade. It is a sturdy weapon which is good for chopping and slashing. The slight curve also makes it effective in the thrust.